Before taking a vacation or trip, I’ll search for upcoming festivals in the places to visit. This trip – jackpot: book and wine festivals on the same days in the same city. 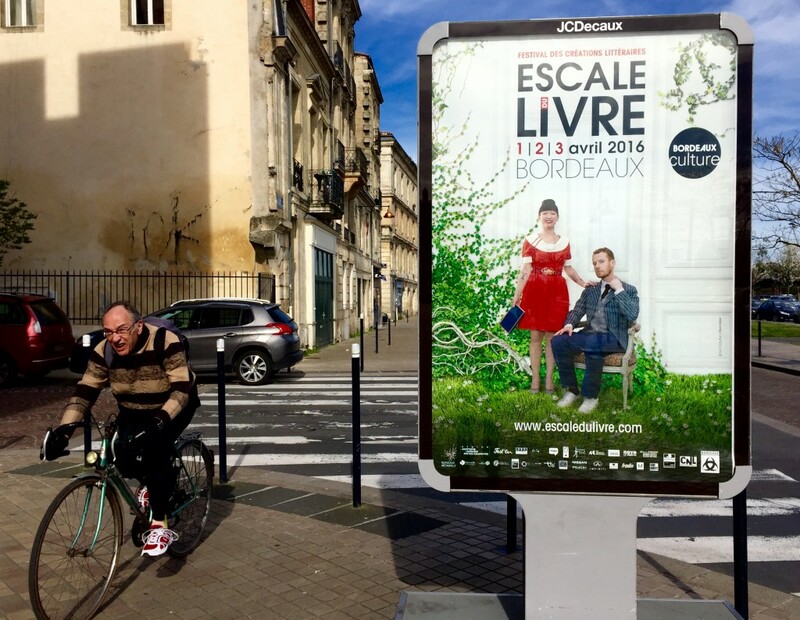 This fair happened to be held on the same three days as a gathering of hundreds of wine producers in Bordeaux (Salon des Vignerons Independents), as well as the first public tastings (en primeurs) of Cotes de Bourg wines. This happenstance provided access to fresh books, publishers, authors, wines, and winemakers – all in one city, all accessible by foot and tramway. 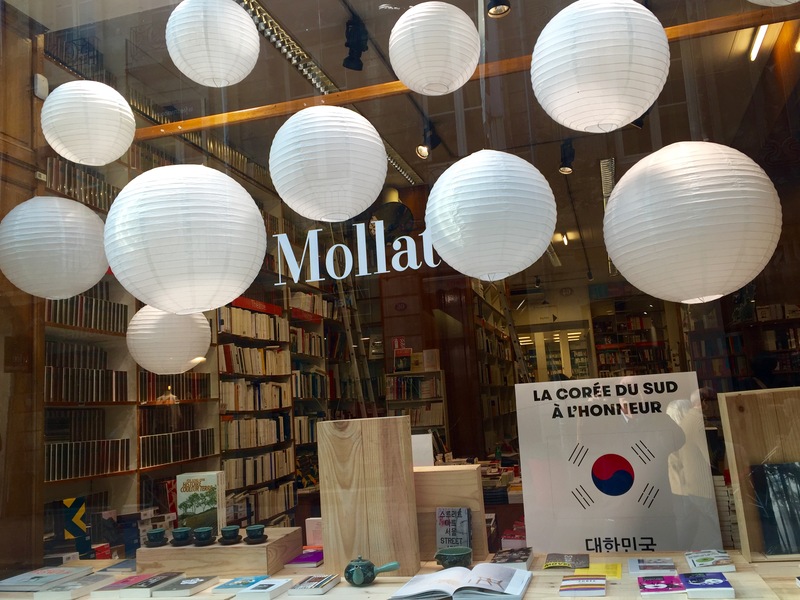 On the way to the festival I visited the massive French bookstore Mollat (an institution) to purchase a notebook. The place was packed on a Friday afternoon, yet all 17 customers in the cashiers’ lines ahead of me were whisked through in minutes. I then moved on to the book fair, which is held in ‘old Bordeaux,’ near Place Renaudel in Sainte Croix. 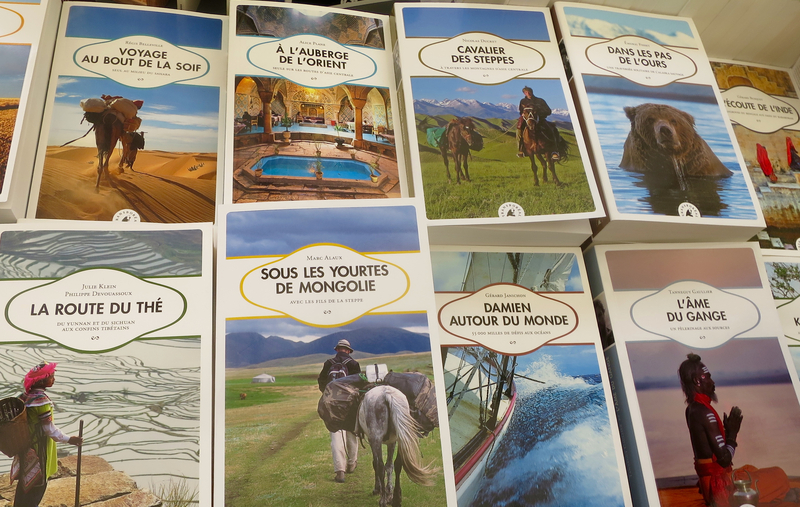 The books at the fair (all in French) were about travel and history; about growing pot, social consciousness and surfing. About everything. This all took place in some large tents on the grassy grounds of an ancient, attractive cathedral. For lunch I walked across a plaza, sat at an open air cafe, and enjoyed good food with good wine and coffee in the spring sunshine. Some publishers at the event specialize in simple treatises, all with white covers. One publisher only produces books about wine and wine growers. Another publisher – Pimiento – has produced travel anthologies and surfing books since 1997 (he is, of course, a surfer in love with Biarritz). 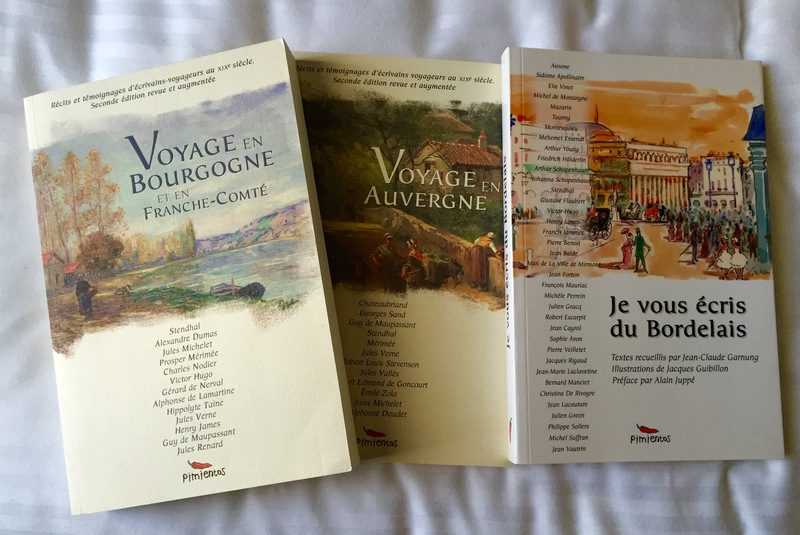 I bought collections of travel stories set in Burgundy by different authors (Alexandre Dumas, Jules Verne, and Henry James) and another about trips in the Auvergne (including stories by Robert Louis Stevenson and Emile Zola), as well as a essays by authors about Bordeaux. 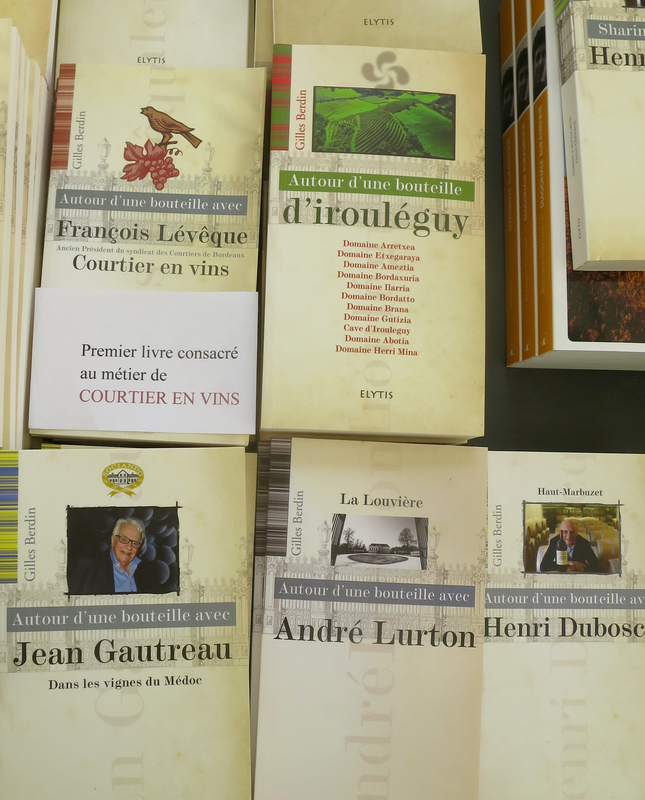 One publisher gave me a gift – a collection of recipes from Provence, while another pulled out a book translated into English – a series of interviews with wine consultant Denis Dubordieu. Nice. This festival was evidence that a litany of French publishers truly love what they do, and are optimistic, dynamic, and thriving. The printed book is alive and well in France.